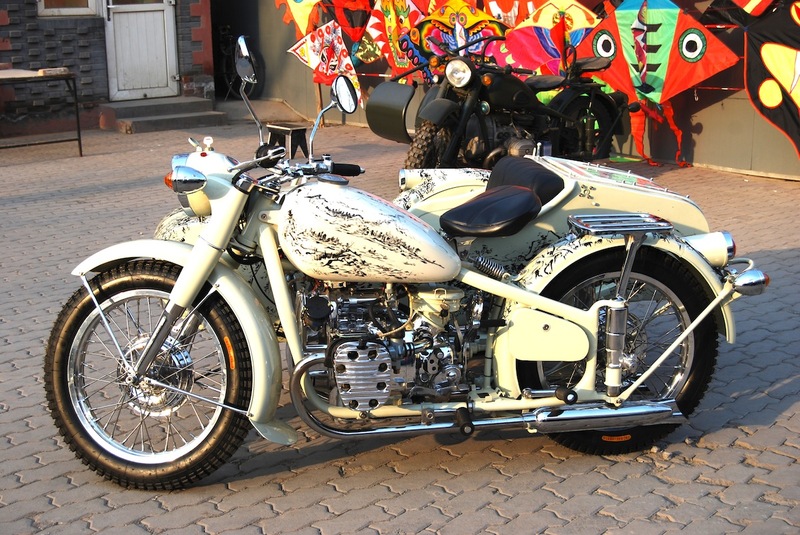 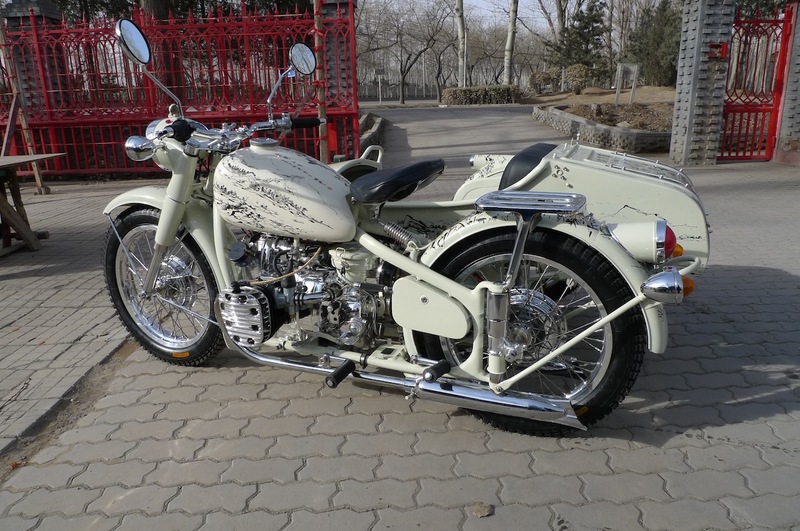 The most valuable Chang Jiang 750 ever commissioned and restored. 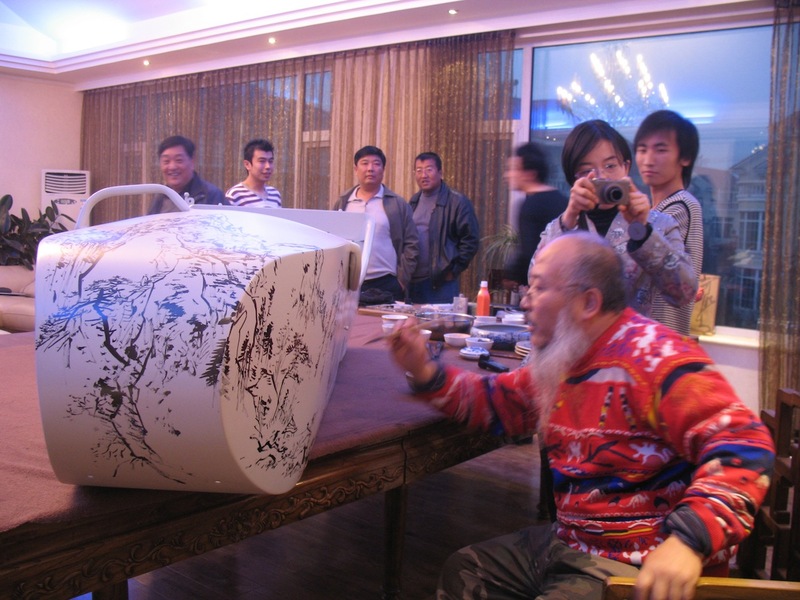 Yang Yan is a famous Chinese artist (lineage of QiBaiShi) whoms paintings are the most expensive in China currently (2012). 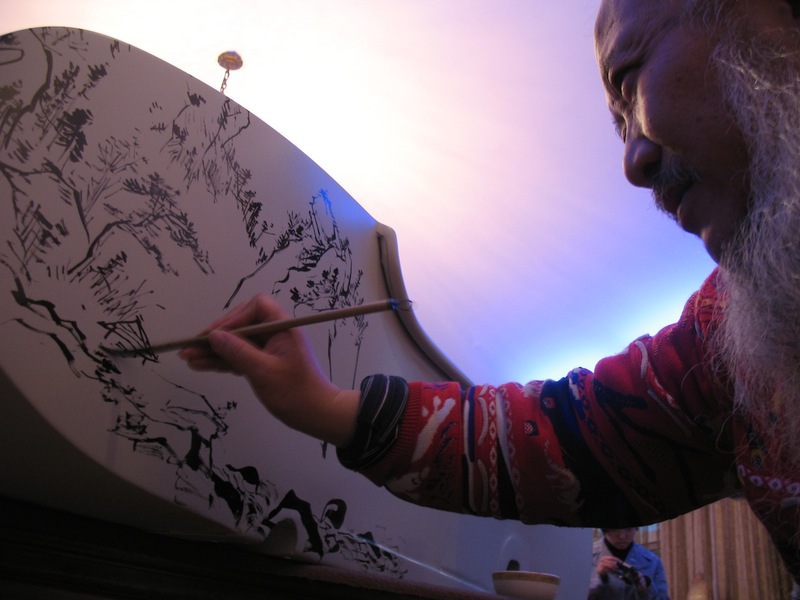 Yang Yan is famous for his traditional style of northern painting. 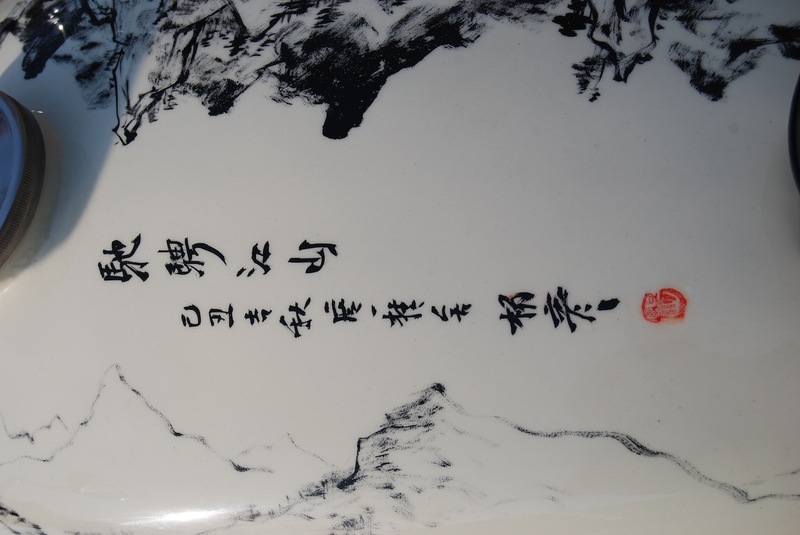 In 2010 his calligraphy for the World Fair in Shanghai sold for over 2,000,000USD. 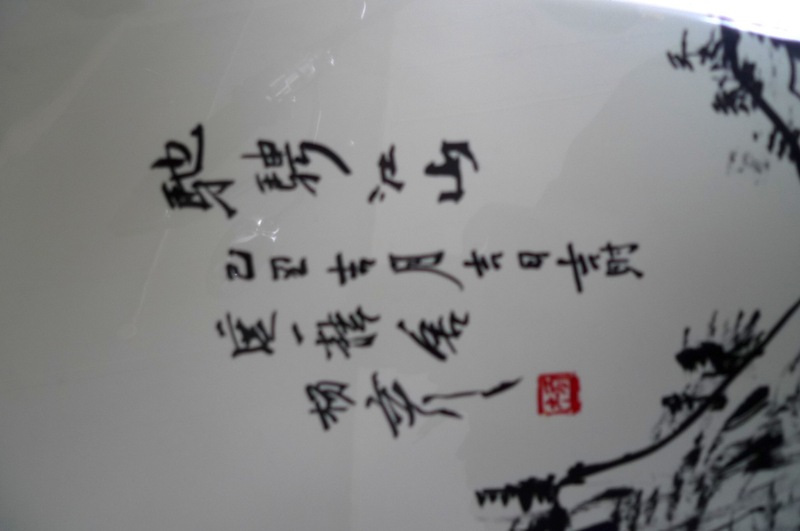 Yang Yan's current rate for calligraphy is about 100,000USD for an A4 size page of calligraphy. 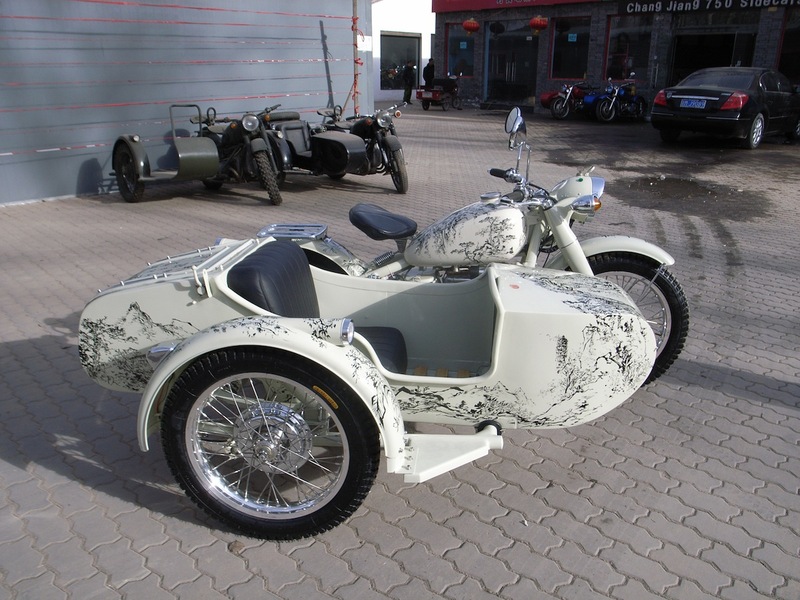 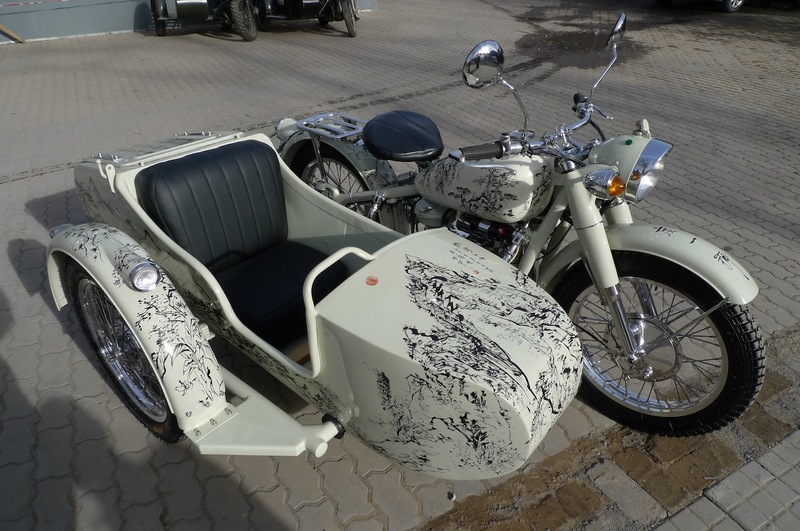 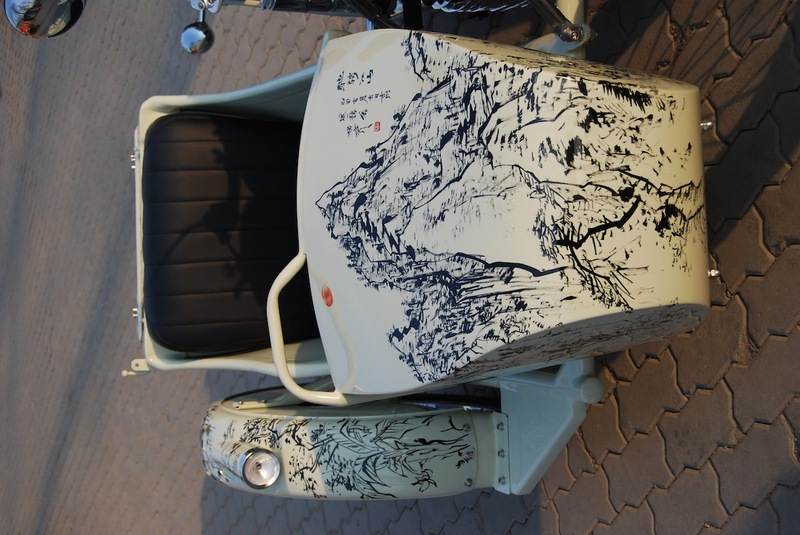 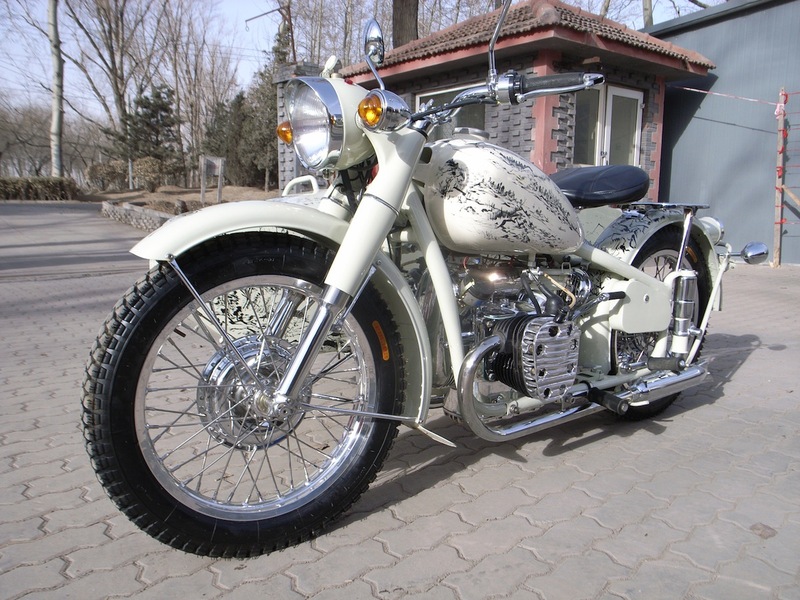 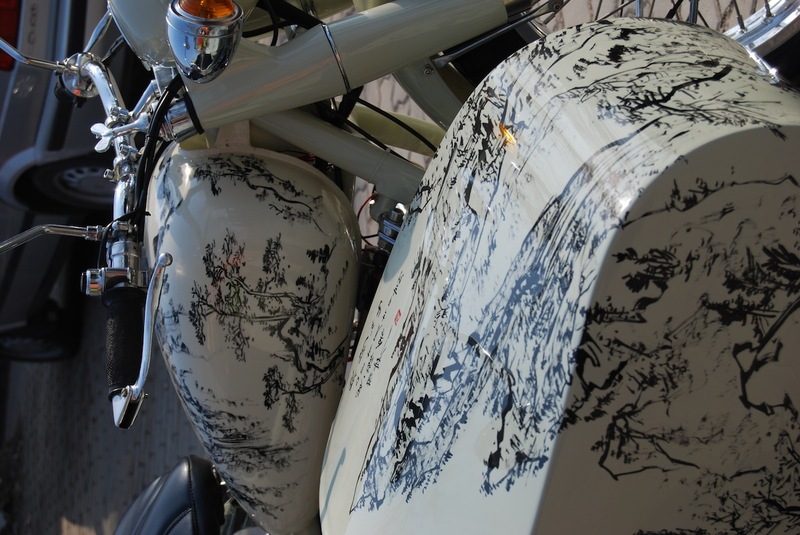 The theme of the Chang Jiang 750 paint job is mountains and river. 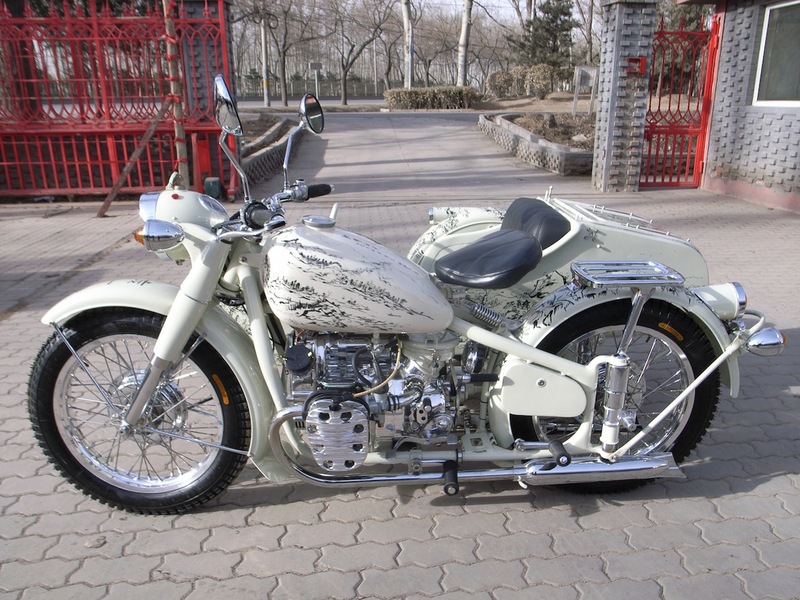 This Chang Jiang 750 is occassionally displayed at the Shangri La Hotel in Beijing. 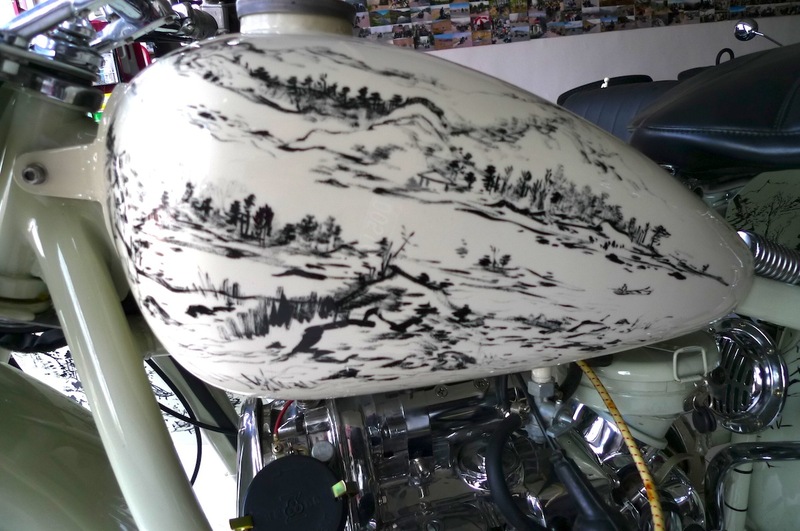 Everything done on this CJ750 restoration is paid the highest attention to details from the paint job, base paint, chrome, polishing, etc... 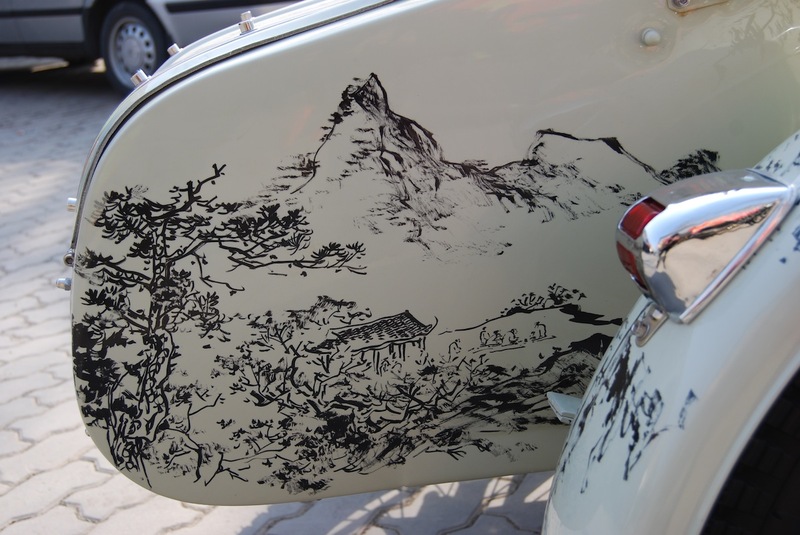 When one aquiring a work of art, nothing but the best is expected and that is what we deliver. 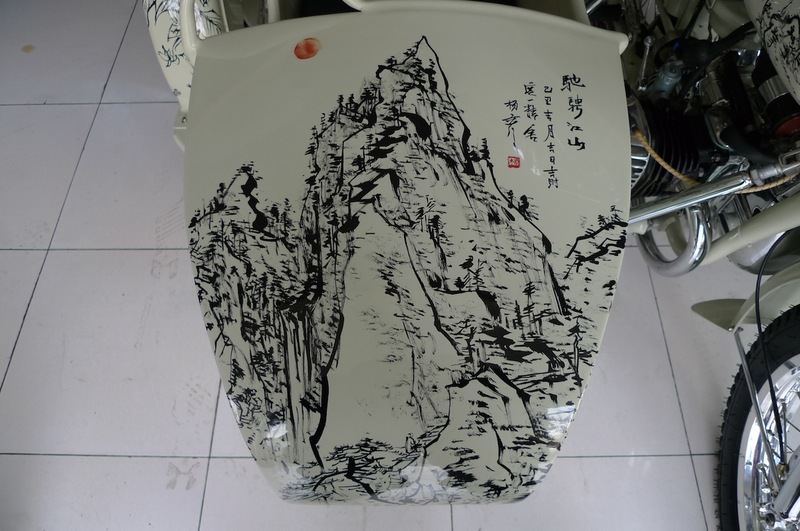 Anyone interested in commissioning a one of a kind masterpiece artwork by the famous YangYan may contact us. 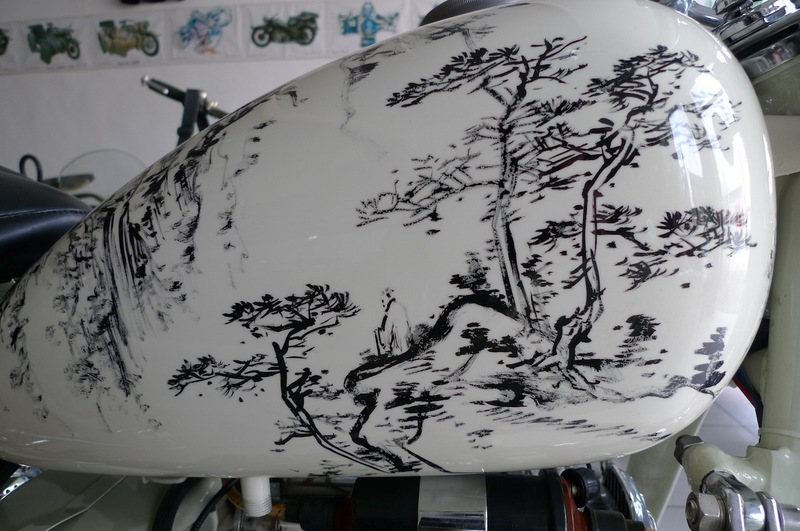 These restorations are one of a kind and will keep its value as Chinese millionaires and billionaires are out to acquire unique works of art. 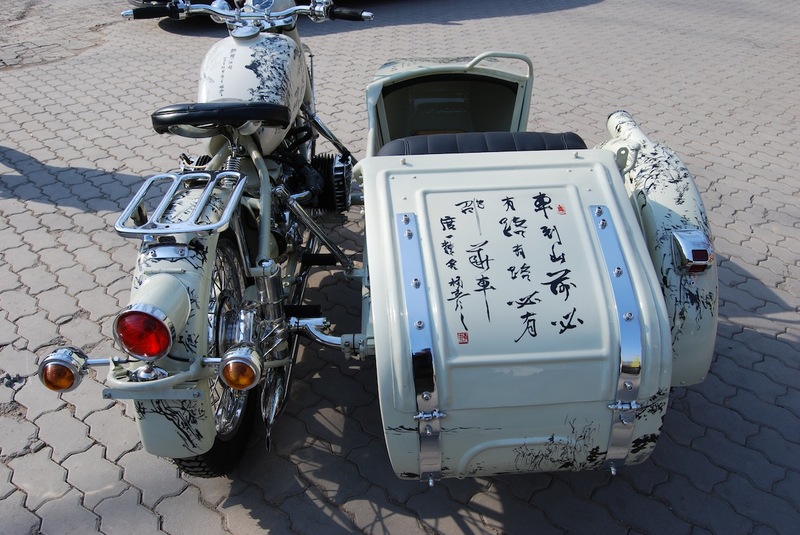 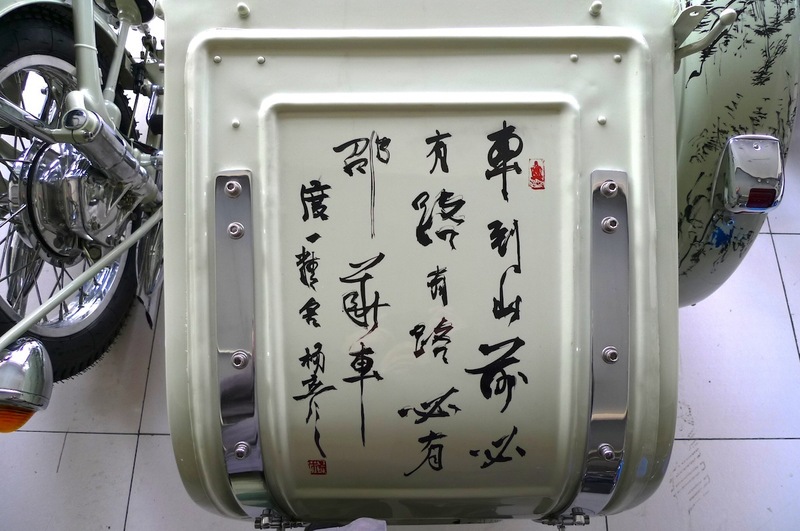 This CJ750 started out at 500,000RMB and ended up being aquired for 1,500,000RMB.